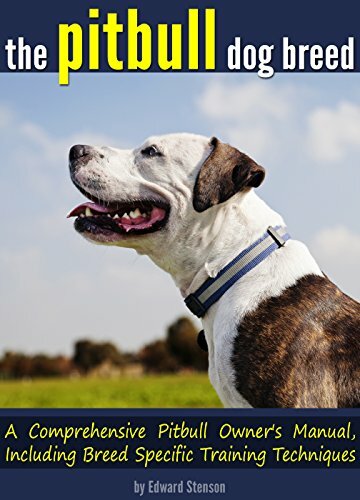 If you want to better understand the Pitbull dog breed and learn how to train one, then this book is for you! Pitbulls have a bad reputation. They rank as the most aggressive dog breed in terms of people’s perception, with some states even adopting laws that ban people from owning them. This isn’t fair of course, because with proper care and attention from their owners, pitbulls can be the sweetest of companions. While it’s true that these dogs were originally bred for more aggressive activities, such as hunting and dog-fighting, they have the capacity to be one of the most docile and loyal dog breeds around. Fully understanding the pitbull breed is the first step in developing a bond with your dog so that he or she will allow you to be the pack leader. This ebook is designed to debunk harmful preconceived notions about this amazing breed. Along the way, I’ll also cover how to teach your dog simple tricks and obedience commands, and how to socialize your pitbull with other dog breeds. We’ll also discuss the pitbull’s breed-specific traits, including how to tend to your dogâ€™s special nutritional and physical needs, since that’s the key to a happy and healthy pitbull who’s eager to be your best buddy for life.